Heroes of Warcraft, or Hearthstone in short, is based on the lore and the world of Warcraft. You are set inside and inn where heroes play against each other using cards. It is a virtual collectible card game, much like Magic the Gathering, Yu Gi Oh and Pokemon. It has a single player mode where you complete adventures and a multiplayer mode where you play against other guys, pitting your decks, constructed on the arena. This is where the lucrative betting for Hearthstone comes. There are a lot of types of bets in HS. The most common are the tournament, match, or damage bets. The odds between them vary. It depends on how big the tournament is, or how many matches players play against each other. How can you bet in Hearthstone? Tournament bets, like its namesake, involves in choosing a guy and betting on him winning the tournament or the event. This type of wagering has a larger odd margin, but also risky as well, especially if there are hundreds of participants playing in the said tournament. Match bets are the type of wagers where you place money on the player who will win a particular match. It has lower odds, which means a lower return of investment, but it is a much safer way of making a profit if you have done research beforehand. Another type of bet is the damage. This option consists of who draws the first blood between a match. Not a lot of people bet on this since it usually boils down to luck on who gets to draw first blood. How to place profitable bets in Hearthstone? Unlike other games, HS has a set amount of time to make decisions. It also has a set amount of decisions you can make, based on the cards in your deck and more importantly in your hand. The only variables where you would consider before betting is luck and decision making of the guys you want to bet on. These could be accurately calculated based on the tips I will cover below. The most basic strategy is to do the research. It usually boils down to the players, the current meta game, the most widely used decks, matchups and play styles. If done well, research will provide a lot of information for the upcoming matchups. Let’s start with players. Researching involves in checking their deck lists they are comfortable fighting with. If you watch the streams of the top guys like Amnesiac, Cydonia, Amaz and Kripparian, you can usually tell their play style and preferred decks by the way they choose their card mulligans, and how they make decisions with the cards in hand. Once you got the players and their preferred packs down, comes the current meta game. Usually, decks in the are similar to each other, with a few tech cards. Here comes the deck matchups. Specific packs have weaknesses against other ones and usually dominate other decks. Researching this, combined with the knowledge you learned about the players will give you a very good idea on how the matches will end. From there, you would be able to make a logical bet based on the variables you have gathered. Another thing that is nice to look up is the head to head records of the guys who have played against each other. At large tournaments, they usually publish the preferred decks of the players participating. Deck bans of players are also published. This will give you an idea about the strengths and weaknesses of the competitors. Bans usually tell the story of how the player is able to deal or not deal with a specific pack archetype. Let me give you an example. 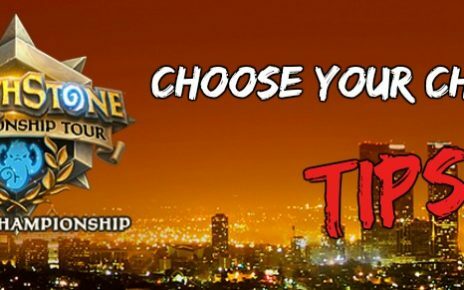 I picked ShtanUdachi to win the entire Hearthstone Winter Championships in Bahamas. The way how I was able to calculate his win fairly accurately was because I have watched his streams on Twitch TV, and also by looking up his ladder record, ranked record and Arena record. His 45,000+ win record in Ranked Play means that he is capable of playing top tier decks that are synergized with the current meta. His 11,000+ Arena wins tells a different story. It tells me that ShtanUdachi is a very good deck builder, with an innate knowledge of the meta game and he is able to draft on the fly. He is able to draft cards that synergize well with the hero he is using and with other cards in the pack. Another variable I looked up is his playstyle. He plays very fast, which tells me he has experience with almost every scenario presented to him. The only time he slows down is when he thinks about combinations and the status of the board. A good way to get advanced betting tips and strategies is to join groups that specialize in reporting major tournaments, minor tournaments and ladder rankings. Lots of these groups exist on Facebook. There are also a few websites like ours who are preparing reviews and predictions. HearthstoneTopDecks also offer the best and current packs that are successful in the current meta, which is an important thing since major tournaments are usually played in Standard Mode. The best piece of information you can get on how to understand the Pro scene is to play the HS itself. Hearthstone is a free to play game and by trying it, you would get irreplaceable information like popular decks, good tech cards and such which in turn you could use to your advantage when calculating for a prediction when placing a bet. That’s all, folks! See you next time and good luck!